If you read our previous post, you already know that there’s no material in the world like Damascus steel – and that’s exactly why people have been coveting it for centuries. At Vegas Forge, we create high-quality, beautiful Damascus steel in a variety of patterns. But if you’ve ever wondered what Damascus steel is used for, the real question is, what isn’t it used for? 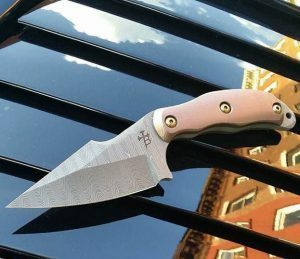 The way we see it, any item – from everyday kitchen tools to gear for special hobbies and pastimes – are much better when they’re forged of Damascus steel. That’s because the strength and beauty of this steel is unparalleled. Here are a few things you may not have known are even better when created from Damascus steel. If you’ve ever cooked – whether out of necessity or because it’s your favorite pastime – you know the value of good kitchen knives. Unfortunately, many people don’t understand the difference in quality between various sets of knives. If you’ve ever used a Damascus steel knife, you’d realize how it cuts through tough foods – like steaks, chicken and winter squash – like a warm knife through butter. Not only are the knives the Rolls Royce of kitchen tools, but they’re also infinitely stylish. That’s because Damascus kitchen knives hold the traditional, beautifully intricate pattern of Damascus steel of old. These knives will not only be a joy to use in your kitchen, but you’ll never get sick of looking at them either. If silver, gold and platinum seem a little too run of the mill for you or your beloved, take a look at rings, necklaces and bracelets created from Damascus steel. 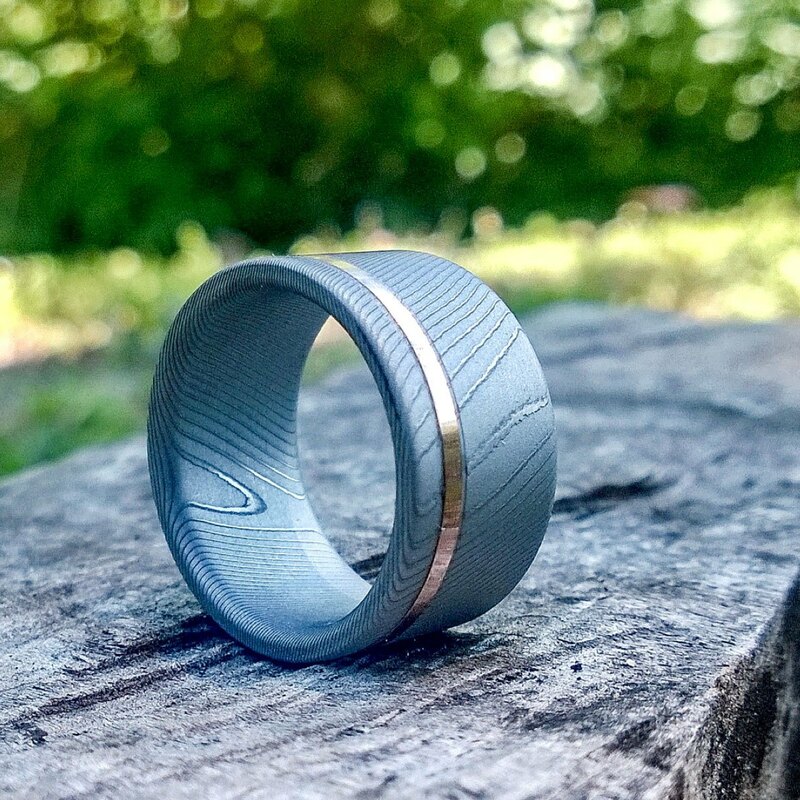 Not only do Damascus steel pieces retain their shape without dents and scratches, but the flexibility of this steel also makes it resistant to breaking and is simply comfortable to wear. The best part about jewelry made from Damascus steel, however, might be superficial: these pieces are simply beautiful, with the pattern of the steel truly unique to each piece. You’ll be guaranteed no one else is wearing the piece you’re sporting when you wear Damascus steel. Hunting aficionados, take note: if you don’t own a Damascus steel hunting knife, you’re doing it wrong. Damascus steel has been used for centuries on knives – particularly those used to hunt or defend. That’s because the strength and flexibility of Damascus steel ensures these knives hold up their end of the bargain – and do so with grace and beauty. 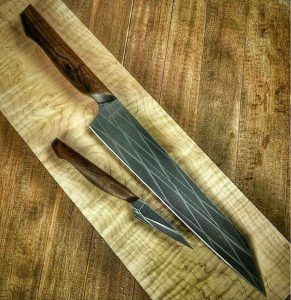 If you want a tool you can use – as roughly as you need – and will still be in great shape to pass on to your children, you’ll want a Damascus steel product. And when you see the beautiful Damascus pattern, you’ll always know which knife is yours. 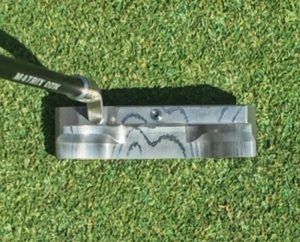 Want a golf putter that can take a beating — year after year (after year after year)? 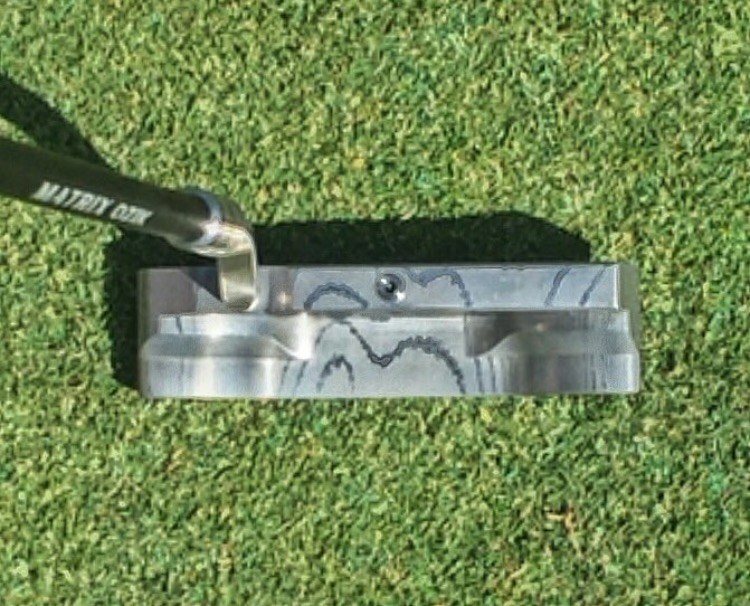 If you look at your clubs as an investment, invest in the strength and beauty of Damascus steel. Who knows… maybe it’ll even improve your handicap! 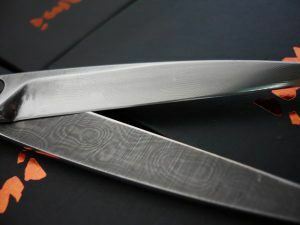 Whether you cut hair for a living or just really, really like crafting, you should know: the world’s best scissors are made from Damascus steel. Perhaps the world has evolved, but the fact of the matter is that the same materials used by the ancients to defend their lives is now used to cut hair (amongst other things!). A set of Damascus steel shears will last… well, probably longer than you have hair to cut! Did you learn a thing or two about Damascus steel? Find out a little more – and take a look at how beautiful the real thing is – right here.